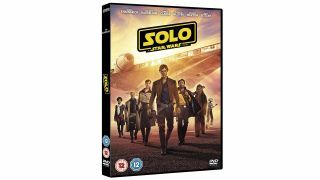 Save up to 30% on Disney DVDs and Blu-rays on Amazon | What Hi-Fi? If you're starting to think about Christmas TV already, then why not take things into your own hands by lining-up a few DVDs and Blu-rays? Amazon is doing its best to tempt us all with hefty savings on Disney discs. And before you think that just means animated classics, remember that Disney is nowadays responsible for some of the biggest film releases around, bar none. So, deep breath, you can save on titles including Solo: A Star Wars Story, Star Wars: The Last Jedi, Avengers Infinity War, Black Panther, The Lion King, Guardians of the Galaxy Vol.2, Cars 3, Finding Nemo, Monsters Inc., Wall-E, Thor, Iron Man 3 and, frankly, a whole load more. Interested? Head over to the Amazon DVD & Blu-ray page to see all the deals.